The faces say it all as Scotland capitulate in Kazakhstan. 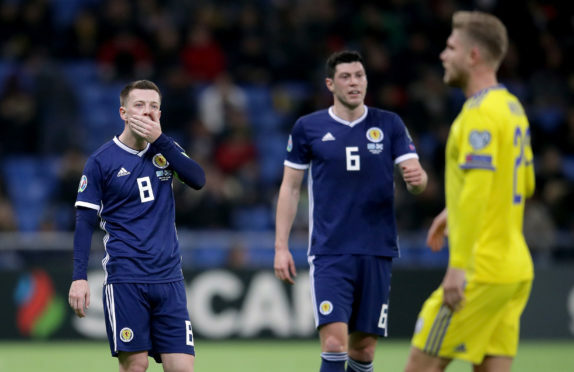 Scotland’s Euro 2020 qualifying campaign got off to a disastrous start as Alex McLeish’s men fell to a 3-0 defeat by Kazakhstan. The Scots were 2-0 down after 10 minutes and did little to suggest a fightback was on the cards. A third goal shortly after half-time ended the game as a contest. Scotland now face San Marino on Sunday, where even a high-scoring victory will do little to ease concerns about our qualifying hopes. This is how the match unfolded at the Astana Arena in Kazakhstan.